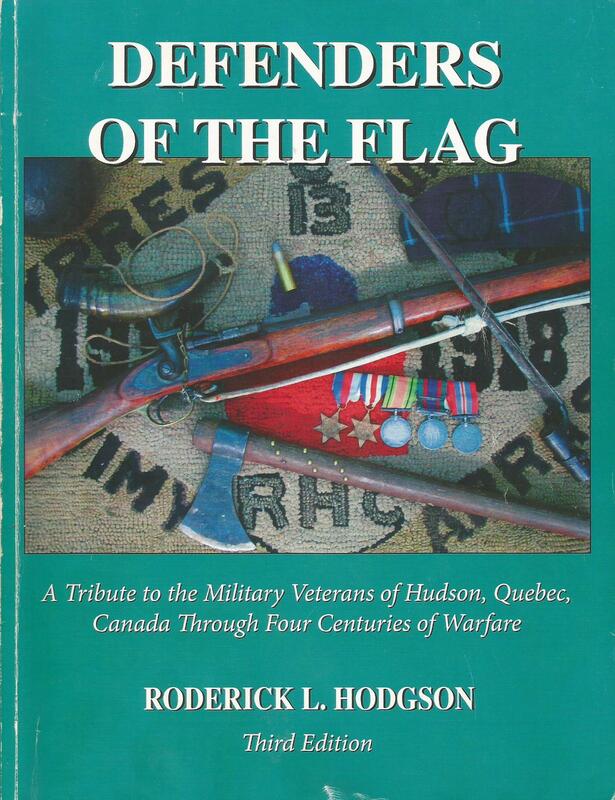 Defenders of the Flag is a tribute to the military veterans of the small town of Hudson, Quebec. It covers four centuries of warfare; the 18th, 19th, 20th, and 21st centuries and spans 260 years, roughly 1740-2003. Rare photos, drawings and sketches are liberally distributed throughout the 333 page book. The book may be purchased at the HHS Museum. Submitted by webmaster on Wed, 2006-05-10 08:30.